As you may know, the Toyota Corolla was originally introduced way back in 1966. Since then, more than 46 million Toyota Corolla models have been sold around the world. While the Toyota Corolla has been recognizable for decades, the redesigned 2020 Toyota Corolla sedan is sure to turn some heads just like the reworked 2019 Toyota Corolla hatchback continues to do today. The 12th-generation Toyota Corolla is arriving at dealerships in two stages. The first phase was the arrival of the 2019 Toyota Corolla hatchback. The next stage will be the delivery of the sedan iteration of the vehicle. Both body styles are based on the Toyota New Global Architecture, which brings new approaches to engineering, design, assembly, and material choices. The hatchback and sedan versions of the new Toyota Corolla will share the same powertrain. 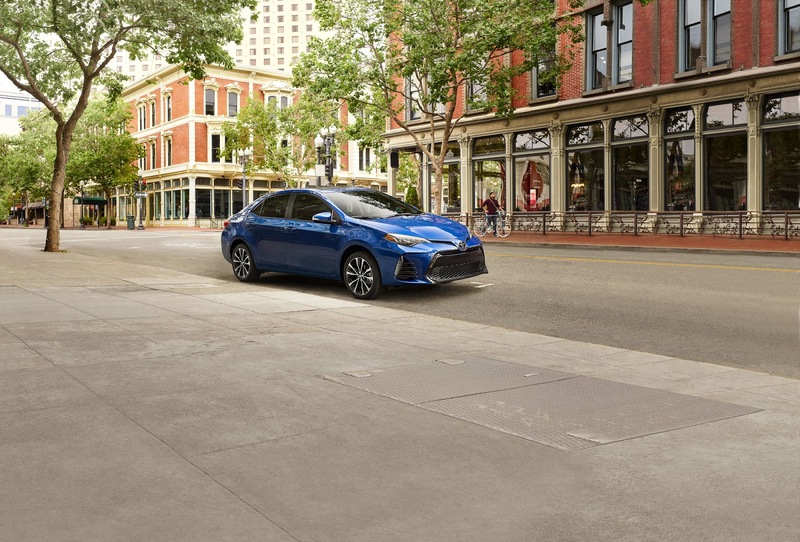 As far as the 2020 Toyota Corolla sedan goes, the Toyota brand focused on increasing the automobile’s comfort and refinement while carrying over the hatchback’s unmistakable personality to the sedan. Because we’re Toyota dealers serving Los Angeles, CA and surrounding areas, we’re extremely proud to tell you that every 2020 Toyota Corolla sedan will be outfitted with the Toyota Safety Sense 2.0 suite of advanced safety and driver-assistive features. Adaptive cruise control and a forward collision warning are just a few of the features that are included in that suite. To learn more about how ready the 2020 Toyota Corolla sedan is to rock the roadways, contact Keyes Toyota.